The Spiral Foundation now offers a certificate program in sensory integration competencies. The Program of Essential Competencies in Sensory Integration (PECSI) offers 100 hours of practical learning experiences in a variety of formats designed to meet the flexible learning needs of today’s therapists. 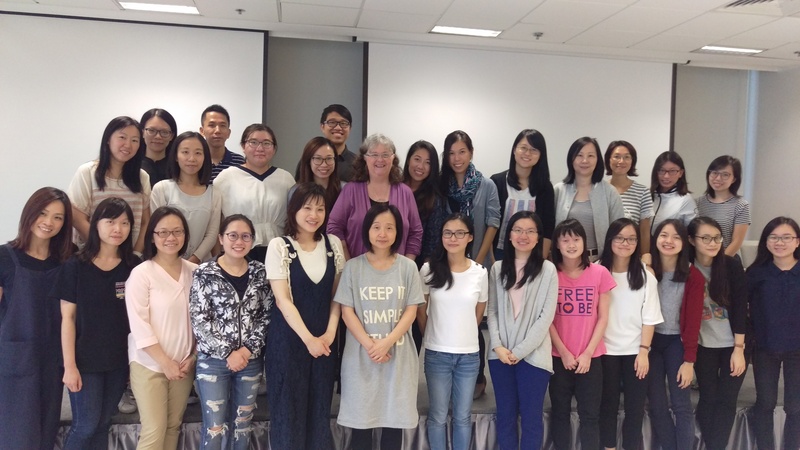 Learning experiences include coursework on sensory integration theory, assessment, SIPT administration, assessment interpretation and sensory integration intervention provided in both live, in person and online formats; self study review and examinations; and practical application of the SIPT assessment. Participants completing the program will receive 100 contact hours (10 AOTA CEU’s) and a certificate of attendance for each course. Upon completion of this five course series and related requirements, participants will be knowledgeable about sensory integration theory, capable of completing observation based assessment of sensory integration, qualified to administer and interpret the Sensory Integration and Practice Test, and familiar with the core principles of sensory integration intervention. Three of the five required courses are available in either online or live course formats. Two courses are live course only formats. Upon completion of the coursework and related post-course assignments and evaluations, participants will receive a Certificate of Essential Competencies in Sensory Integration. 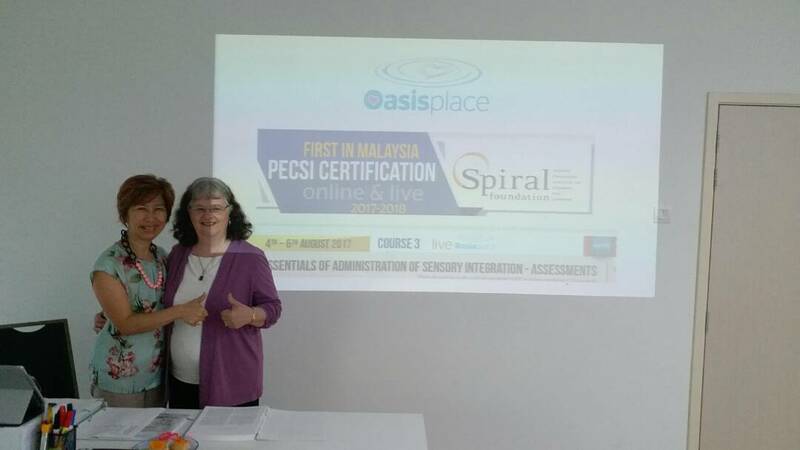 Upon completion of the certification courses and all required components, therapists may use the Spiral Foundation certification number to indicate proficiency in sensory integration theory, administration and interpretation of the Sensory Integration and Praxis Tests and familiarity with sensory integration intervention. To register for our PECSI courses watch our Current and Upcoming page or sign up for our mailing list to be notified when courses are open for registration. This course will introduce practitioners to the foundations of sensory integration theory. The core principles of sensory integration will be discussed. The neuroanatomy essential for understanding sensory integration and its application to intervention will be presented in an easy to understand format which will be linked to function throughout the course. The basic neurology and function of the sensory modulation, sensory discrimination and motor function systems will be presented. This course will form a solid foundation for understanding sensory integration theory. Course format includes a combination of lecture, video, self-study review and examination. Eligibility: This course is open to all occupational therapists, occupational therapy assistants, physical therapists, physical therapy assistants, speech and language pathologists, educators and health professionals. Online Format: Two six hour online courses, self-study, and online examination for each online course. BOTH online courses are REQUIRED if completing Course 1 online. Part One: 8.5 contact hours (.85 AOTA CEUs). Includes course, self-study, and examination. Part Two: 8.5 contact hours (.85 AOTA CEUs). Includes course, self-study, and examination. This course will provide participants with a solid foundation for clinical assessment of sensory integration difficulties in children. Principles and clinical reasoning strategies for assessment of sensory integration problems will be addressed. Participants will learn how to administer an observation-based clinical assessment of sensory modulation and discrimination and how to interpret assessment findings in the context of sensory integration assessment. Clinical assessment of postural-ocular-respiratory functions and praxis skills will also be addressed. Course format includes a combination of lecture, video recording, case studies, self study review and evaluation. Online Format: Two six hour online courses, self-study, and online examination for each online course. BOTH online courses are REQUIRED if completing Course 2 online. Part One: 7.0 contact hours (.7 AOTA CEUs). Includes course, self-study, and examination. Part Two: 7.0 contact hours (.7 AOTA CEUs). Includes course, self-study, and examination. This course will introduce participants to standardized assessments of sensory integration functioning. Participants will learn how to administer the Sensory Integration and Praxis Tests as well as Ayres Clinical Observations. The course format, a combination of lecture, hands on instruction and practice, and small group discussion allows opportunities for practical learning and individualized feedback on assessment techniques. Eligibility: This course is limited to occupational and physical therapy participants who have completed Courses 1 and 2 of this series, live or online, or who have completed Course 1 of the WPS/USC SIPT courses. Access to a WPS SIPT scoring disc to score at least 1 complete test protocol which must be brought to Course 4 (Printed test protocol materials will be provided for this case). This course will discuss patterns of sensory integration dysfunction as described by A. Jean Ayres as a result of factor and cluster analyses using the Sensory Integration and Praxis Tests. Participants will learn how to identify patterns of sensory integration dysfunction through standardized and non-standardized assessment findings using the SIPT as well as other motor assessments which will be applicable to a wide range of client ages and practice settings. The course format, a combination of lecture, videotapes, case studies and small group discussion allows opportunities to address participants’ questions and concerns. Eligibility: This course is limited to occupational and physical therapy participants who have completed Courses 1, 2, and 3 of this series, live or online, or who have completed Course 1 of the WPS/USC SIPT courses. This course will provide participants with the essential information needed for treatment of sensory integration and praxis difficulties in children. The core principles of sensory integration intervention will be reviewed. Sensory integration interventions for sensory modulation and discrimination problems, praxis difficulties and foundational postural skills in children will be presented. Development of sensory diet programs will also be addressed. Extensive videotape analysis and case study presentations will be used to develop observational skills. The course format, a combination of lecture, videotapes, and small group discussion allows for opportunities to address participants’ questions and concerns. Eligibility: This course is open to occupational therapists, occupational therapy assistants, physical therapists, physical therapy assistants, speech and language pathologists, educators and health professionals who have taken Course 1 of this series or who have a strong background in sensory integration theory. Online Format: Two six hour online courses, self-study, and online examination for each online course. BOTH online courses are REQUIRED if completing Course 5 online. The SPIRAL Foundation is proud to be a member of the International Council on Education in Ayres Sensory Integration.